Net neutrality enables the internet highway to be shared equally and proportionally to all consumers and network traffic. A new FCC (Federal Communication Commission) ‘Open Internet’ proposal has taken effect on June 12th 2015 disallowing ISPs to manipulate internet services by traffic prioritization, throttling or blocking. Welcome the age of Net Neutrality. Now that it has taken effect, the internet will be like public roads being shared by all vehicles with equal rights and opportunities to use the road system. 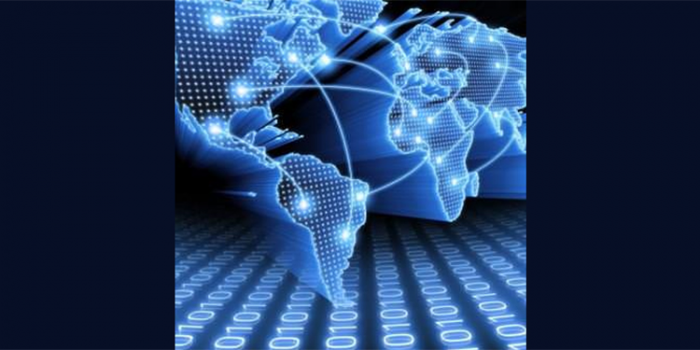 Internet consumers can use any type of service to connect to the internet that is being operated by ISPs around the globe. For instance, a mobile client can use Verizon/AT&T LTE service to access the internet to get the content from a cloud content provider, meanwhile that same cloud content provider may have Level3 10Gig Ethernet service access to the internet. In this scenario, ISPs cannot apply extra tariffs for the mobile client or provide the cloud content provider traffic prioritization, throttle or enhanced content accessibility. Despite government/FCC regulations on internet access, prices will vary based on higher bandwidth speeds. Also consumers may have to pay higher fees for internet connectivity as ISPs now must properly maintain network congestion and upgrade infrastructures to be compliant with FCC regulations. However, quality of service will be equal for everyone based on the usage of the shared networks and available bandwidth. Net neutrality also emphasizes that each ISP should upgrade, maintain and manage end-to-end internet services and abide by the communication act or face legal consequences. WAN connection does not become faster, consumers (DSL, Broadband) may have to pay higher prices for faster internet speeds, whereas specifically in the case of cable, DSL or Fibre Broadband services, traffic prioritization, content block and speed throttles are regulated by the FCC, not by the ISPs. Wireless data caps such as LTE and 4G will not be removed by ISPs. Wireless carriers can still throttle service when data caps reach their peak but cannot throttle based on specific sites or applications. These changes likely will not increase competition among ISPs as the barriers to entry are high due to expensive infrastructure and investment. Low latency applications may suffer (VOIP, Video, Skype) during peak period. The communication industry is expected to be consolidated where the rules and pricing are not regulated by the FCC. Cloud providers/CDN or Community providers are allowed to build their own network under defined FCC bandwidth regulations but the access network, price, content or service delivery are beyond the reach of FCC. Next-gen Wide Area Networks are expected to evolve more quickly with net neutrality in place. Next-gen WAN enables regulated internet access choices with equally shared end-to-end internet services to consumers. End-to-end quality of service (QoS) and service level agreements (SLA) will be defined by the FCC and ISPs are required to remain compliant. From the public consumer perspective, accessing WAN is up to them depending on the type of services they need and their bandwidth requirements, but services may still degrade based on capacity and/or access type. From the corporate perspective, net neutrality has opened the doors for the WAN access evolution and WAN architecture termed as “Hybrid-WAN”. In hybrid-WAN architecture, one of the corporate network uplinks will be a private MPLS circuit and the others will be public internet circuits or Azure ExpressRoute circuits to the cloud. MPLS or dedicated cloud service allows end-to-end dedicated bandwidth for corporate networks, whereas internet services allow end-to-end shared bandwidth for corporate networks. MPLS service maintains QoS and SLA so business critical, low latency applications best fit over MPLS WAN. Dedicated services provided by the same ISP provider or third party are expected to flourish once the Net Neutrality really starts taking effect. VoIP, Video, and Cloud are separate access services and can be delivered over shared WAN circuits or separate WAN circuits that are dedicated for specific services. As an example, a corporation VoIP service between HQ and branches can be delivered over shared ISP WAN access circuits. Or a separate VoIP SIP trunk can be provisioned between ISPs to branches and ISPs to the HQ resulting in end-to-end VOIP traffic with efficient flow over dedicated SIP circuits. Figuratively speaking, Net Neutrality establishes the internet with public roads and traffic lights that are accessible to everyone and regulated by the FCC under the telecommunication service act, very similar to telephone services and public utilities.